On March 20, David Rockefeller died at the age of 101. As the obituaries for one of the world’s richest men gush over his philanthropy, it needs to be pointed out that he was a major player in several Latin American coups, supported extremely corrupt military dictatorships, post-dictatorship neoliberal policies that greatly exacerbated income stratification and poverty and that his dark legacy will continue to influence the region long after his death. The Rockefeller Foundation first arrived in Brazil during World War I and was embedded within the so-called “public health movement” amongst Brazilian elites. At that time, Brazilian eugenics was synonymous with public health and emphasized “hygienization”, expressed in the maxim “to sanitize is to eugenize”. With Rockefeller assistance, the creation of the Eugenic Society of São Paulo in 1918 represented the institutionalization of eugenics in Brazil. Amongst elites, eugenics was associated with evolution, progress and civilization, even treated by some as a ‘new religion’. In “War against the weak” Edwin Black explains that the purpose of the Rockefeller Foundation was to finance programs aimed at “the extermination of those considered degenerate”. In Brazil this meant the poor, the ignorant, those of mixed race and African descent. In her thesis on David’s older brother Nelson Rockefeller, historian Elisabeth Cobbs argues that U.S. Foreign policy in Brazil was not only realised by official relations between governments and diplomats, but also by the private sector, including philanthropic organisations. Nelson had been a regular visitor to Brazil since the 1930s, and in 1941 was named by President Roosevelt as coordinator of the Office of Interamerican Affairs (CIAA), which ran intelligence and propaganda operations against the Axis Powers in Latin America. 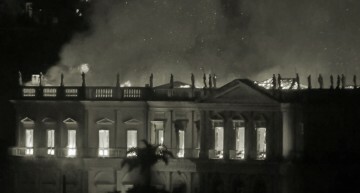 Following the end of the War, Nelson headed the American International Association for Economic and Social Development in Brazil of AIA. The AIA was a “Capitalist Missionary” philanthropic NGO known in Brazil for its programmes for modernisation of agriculture to North American models and standards (including the introduction of pesticides, herbicides and hybrid seeds), sanitation, and literacy. AIA would eventually birth two more agencies, IBEC (International Basic Economy Company) and the IRI Research Institute. As coordinator of the CIAA, Nelson acquired invaluable information about Latin America’s untapped natural resources, especially mineral reserves, information that he would go on to use following the war. IBEC became a key component in the post-World War Two opening of the Amazon rainforest to commercial exploitation, “a process that eventually led to military dictatorships, genocide of native peoples, loss of biological diversity and unprecedented misery for the majority of Brazilians“. The Cold War increased pressures on Brazil regarding Oil exploration concessions. President Getúlio Vargas was said to have tried to address this by forming a consortium, with the participation of Standard Oil, Shell and the Brazilian State. Shell is reported to have accepted the idea, but Standard Oil and Chase Bank opposed. Standard Oil would instead coerce using threats to Brazil’s Coffee exports – the Rockefeller group controlled the American Coffee Corporation, which bought most of Brazil’s coffee, processed it and distributed to the United States. In the 1950s David Rockefeller & Chase became more active in Brazil, creating Interamerican Finance & Investments, only to sell their shares in 1956 as the political climate turned against Internationalisation. In 1961 he tried to set up a Chase affiliate bank in Brazil, buying 51% of Banco Lar for $3m dollars, but Chase were discouraged due to the political instability in the country. (In 1980 he was cleared by the Central Bank to buy the remaining shares, and this entity finally became Brazil’s Chase). During this period, along with his brother Nelson, David developed a very close friendship with partner and boss of Unibanco (later merged with Itau) Walther Moreira Salles, whose family made a second fortune from the ultra-rare mineral Niobium. Together, the Rockefellers and Moreira Salles would purchase a massive Farm, “Bodoquena”, in the state of Mato Grosso. In the early 1960s on the instruction of President Kennedy, David Rockefeller founded the Business Group for Latin America, which was intended to help counter the spread of leftist governments in the region following the Cuban revolution. Under his leadership, it subsequently transformed into the Council of the Americas and finally AS/COA, which currently publishes Americas Quarterly, a relatively discreet but influential nucleus of anglophone “Free Trade” policy discourse on Latin America. 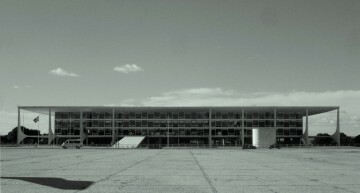 The Business Group for Latin America included on its board senior executives such as C. Jay Parkinson, CEO of Anaconda Copper – which had a strong presence in Chile, and Harold Geneen, head of the International Telephone and Telegraph Corporation (ITT), also heavily involved in the country, and Donald M. Kendall, CEO of PepsiCo. All of these firms supported the intervention of Nixon and Kissinger against elected President Salvador Allende, in 1973. In 1970, covert CIA schemes against Allende included a $500,000 contingency plan to influence the congressional vote against his candidacy. His opponent Alessandri was to be given around half a million dollars, to be raised by ITT and other companies within the Business Group. According to Pulitzer Prize winning journalist Seymour Hersh, Rockefeller’s Business Group for Latin America, which was transformed in 1970 into the Council of the Americas, had a close relationship with the CIA and Enno Hobbing, who had participated in the overthrow of Arbenz in Guatemala. Hobbing, a CIA official who had initially been assigned as liaison to the Business Group, eventually left the CIA and became the principal operations officer for the Council of the Americas. Countless academics have written about economic sabotage, often in cooperation with US business elites such as the Rockefeller family, as a component of US-backed coups in Latin America. From the ITT orchestrated Chilean copper boycott of 1972 to the Reagan administration’s economic destabilization of Nicaragua, to US efforts to sabotage the Venezuelan economy, progressive populism is to this day frequently met with US aggression, including media propaganda. 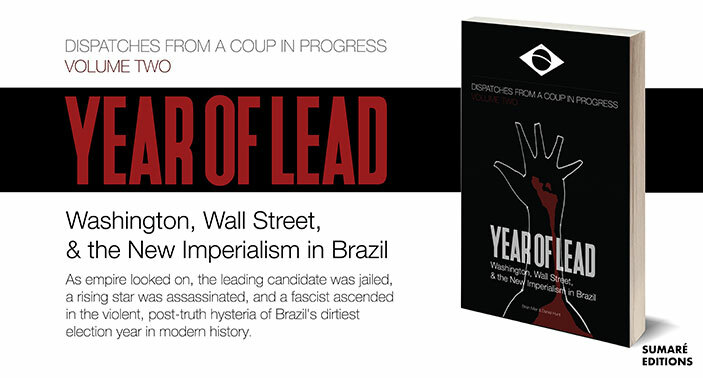 Jan K. Black’s “United States Penetration of Brazil” contains numerous passages related to the activities of Rockefeller Group, the Business Group of Latin America and its precursors in the 1962 Election, the Coup of 1964 and period that followed, in connivance with local conservative elites. She documents how, at a Military conference on Latin America at West Point in the fall of 1964, David Rockefeller said that it had been decided quite early that Goulart was not acceptable to the U.S. banking community, and that he would “have to go.” As in 2016, in 1964 the foreign emphasis was not on marxist ideology, but on combating economic and resource nationalism. The CIA’s “point man” in the 1964 Coup was Joseph Caldwell King, also known by his CIA code name of Oliver G. Galbond. He was former vice president of Business Group member Johnson & Johnson, in charge of Brazil & Argentina, and from there he moved to his close friend Nelson Rockefeller’s Office of the Coordinator of Inter-American Affairs (OCIAA). After officially leaving the CIA in 1967, King became CEO of ‘Amazon Natural Drug Company’, a CIA front which was collecting organic material from the rainforest for Rockefeller Foundation-funded research by US Agencies. Brazil’s hegemonic media network, Rede Globo, was actually created with the assistance and funding of Rockefeller-associated Time-Life Publishing in the United States. It became a powerful instrument of societal control during the dictatorship following its launch in 1964. Gerard Colby & Charlotte Dennett’s ‘Thy will be done: The Conquest of the Amazon’ was an investigation into the Summer Institute of Linguistics (SIL), also known as the Wycliffe Bible Translators – a Rockefeller & USAID funded Evangelical organisation which had been translating the Bible into hundreds of indigenous languages in Central and South America. Wycliffe was founded by ultraconservative William Cameron Townsend who worked in tandem with Rockefeller and which the authors accuse of destroying indigenous peoples’ cultural values to abet penetration by U.S. businesses, employing a “virulent brand of Christian fundamentalism that used linguistics to undermine the social cohesion of indigenous communities and accelerate their assimilation into Western culture”. It sent scores of missionaries and establishing churches to counter the “threat” of Left-Wing “Liberation Theology” to United States Security, identified by older brother Nelson in his 1969 ‘Rockefeller Report’ for President Nixon. These missionaries also acted as scouts, covertly surveying the Amazon for resources. Financial support for Evangelical faith in Brazil evidently extends to the present, with the massive and politically influential Pentecostal “Universal Church of the Kingdom of God” whose head Bishop, Edir Macedo told his followers that the Rockefellers had been generous contributors. It goes on to conclude that “Whether through government action, labor conflicts, sabotage, or civil disturbance, the smooth flow of needed materials will be jeopardized. Although population pressure is obviously not the only factor involved, these types of frustrations are much less likely under conditions of slow or zero population growth”, and “Young people, who are in much higher proportions in many LDCs, are likely to be more volatile, unstable, prone to extremes, alienation and violence than an older population. These young people can more readily be persuaded to attack the legal institutions of the government or real property of the ‘establishment,’ ‘imperialists,’ multinational corporations, or other-often foreign-influences blamed for their troubles”. The implications of the NSSM-200 document for Brazilians cannot be understated. It can be interpreted that de-facto opposition to population growth, rises to living standards & life expectancy, availability of quality public education and healthcare, and independent development in Brazil, has been effectively codified into United States foreign policy since 1975. Two decades after a Military Dictatorship took power with his support, in 1987 following transition to Civilian Rule, David Rockefeller remarked “In all my visits to Brazil, I have never before come across such desperate poverty”. In June 1992 he was back in Brasilia. “The progress is encouraging and the road is open to an accord” he said, after a 45-minute meeting with corruption-hit President Fernando Collor de Mello at the Planalto Palace in the capital. Though by this point Rockefeller was only a consultant at Chase Manhattan, he was still involved in the Council of the Americas. The New York Times wrote that Brazil was seeking to convert its world record $108bn debt into 30-year bonds that would be backed by the United States Treasury. Born into an Oligarchic family, Collor had come to power in 1989 via the first direct election since the 1964 Coup, as Rede Globo’s anointed candidate. One of his leftist rivals Leonel Brizola, had been identified as the potential target for a U.S.-supported Coup d’etat should he have won. By the end of 1992, Collor, who had overseen a programme of rapid privatisation and economic liberalisation, resigned, facing imminent impeachment, with inflation standing at over 1000%. In dealing directly with Collor, Rockefeller ensured that debt-deals were set in stone before any change in Presidency. During preparations for the 1992 Earth Summit in Rio de Janeiro, Rockefeller Foundation created LEAD (Leadership in the Environment and Development). According to their website they have since then “been recruiting talented individuals from key sectors and professions all over the world to be part of a growing network now standing at over 2400 leaders, who are committed to changing the world. […] Since 1992, more than 500 professionals have been trained in Brazil, Canada, China, Former Soviet Union, Europe, India, Indonesia, Mexico, Nigeria, Pakistan and South Africa.” The Brazilian branch of LEAD (ABDL) was one of the first, founded in mid-1991. Al Binger, LEAD’s international director, said with surprising frankness: “We hope that in ten years many of the fellows will be acting as ministers of environment and development, university rectors and CEOs.”. One of the Brazilian Politicians most closely associated with LEAD/ABDL would be future Presidential Candidate & environmental campaigner, Marina Silva. 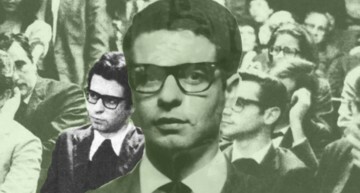 Silva was Catholic Liberation Theologist, and social movement leader for almost two decades, converting to Evangelical faith in the mid 1990s. Although widely hailed as an environmentalist leader in the anglophone media, her public support of “green capitalism” is not only rejected by the Brazilian environmentalist movement, it’s rejection was chosen as the theme to the Cupula dos Povos, the international alternative forum to Rio+20, held simultaneously with it in Rio de Janeiro in 2012. AS/COA (Americas Society / Council of the Americas) magazine Americas Quarterly and its circle of promoted commentariat have been a major player in reshaping the master narrative of Brazil as a failing state, that Dilma Rousseff’s impeachment was legitimate, and in particular the depiction of Lava Jato judge Sergio Moro as objective “anti-corruption crusader”. There is a also a common rhetorical dismissal of U.S. interference in modern Latin America as being a relic of the cold war. Shortly after the illegitimate impeachment of predecessor Dilma Rousseff, on September 22 2016, documented U.S. informant, new President Michel Temer, who was visiting the United States to meet Vice President Joe Biden and address the UN, also spoke at a specially-organised meeting at the New York headquarters of AS/COA . At the meeting for Investors, Business and Banking elites, Temer candidly revealed an “open secret” – that the true purpose of Rousseff’s removal was that she would not agree to implement a hardline Austerity & Privatisation programme contained within a policy document called “Bridge to the Future“. The document was odd in that it appeared to have been translated from English, with social media users remarking on its unusual wording. Economist Marcio Pochmann noted similarities between “Bridge to the Future” and the “Government Economic Action Plan” (PAEG) which followed the Coup of 1964. One such similarity, he says, is the strong international influence. Former Dictatorship-era Public Security Official Michel Temer was also asked by one attendee what plans he had to deal with social unrest amongst the population in response to such extreme austerity measures. This too echoes 1964, in “Who Rules the World“, Chomsky noted that the Kennedy administration’s policy was to transform Latin America’s Militaries into glorified police forces, designed to deal with their own populations “should they raise their heads”, not external threats. 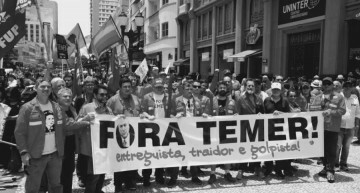 Despite the shocking nature of Temer’s comments, they were for the most part ignored by close-knit Brazil-based corporate journalists, but to those who have been following the US-led rollback against democratically elected center-left and left leaders in Latin America, it was no coincidence that Temer admitted this at a meeting sponsored & organised by AS/COA. Elite COA corporate members include: Bloomberg, Blackrock, Bank of America, Barings, Barrick Gold Corporation, Boeing, Bombardier, Banco Bradesco, Banco do Brasil, Banco Santander, Cisco, Citigroup, Coca Cola, ExxonMobility, Ford, General Electric, General Motors, Google, Itaú Unibanco, IBM, Johnson & Johnson, JP Morgan Chase, Lockheed Martin, McDonalds, Moody’s, Morgan Stanley, Microsoft, News Corp / Fox, Pearson, Pfizer, Philip Morris, Raytheon, Shell, Television Association Of Programmers Latin America, Time Warner/Turner, Toyota, Viacom, Wal-Mart. One of the successor companies to Standard Oil, Chevron Corporation is listed as “Patron Corporate Member” of Council of the Americas, and has a strong vested interest in who governs Brazil. 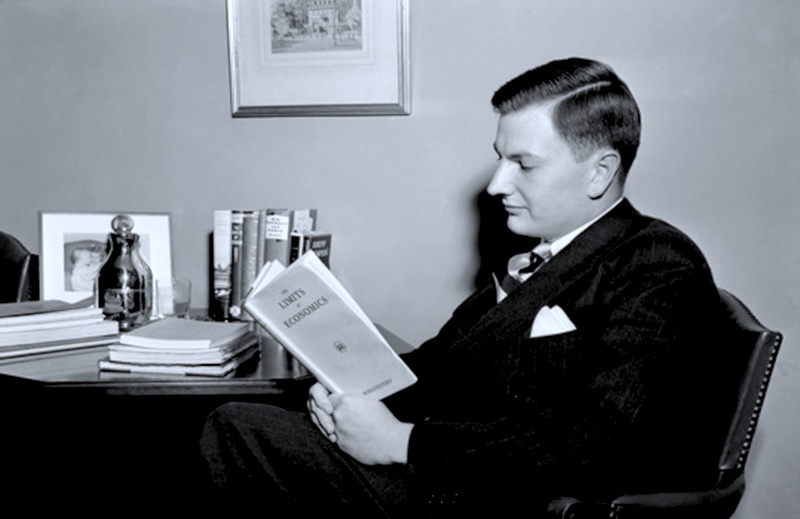 David Rockefeller remained Honorary Secretary of COA until the day he died, while current Secretary is William R. Rhodes, formerly of Citibank/Citigroup. Alongside other D.C. Think Tanks such as the older Brookings, and Rockefeller/Ford funded Council on Foreign Relations, AS/COA is not unusual in its stated function but is a particularly interesting case – an interface between State & Corporate power, Intelligence communities, Multinational & Latin American Banks, Washington-aligned Neoliberal Politicians, educational institutions such as FGV, local & international NGOs, Authors, Journalists, and everyday English-language media from the region, such as Reuters and CNN. David Rockefeller once said, “American capitalism has brought more benefits to more people than any other system in any part of the world at any time in history. ” He may have passed away, but his imperialist business interests and his think tank, backed by some of the World’s most nefarious corporations in terms of human and environmental rights, will no doubt continue to meddle and weaken democracy in Latin America for years to come.